I am looking to make my own tent this winter, and was looking for design options. 1 Sleeps 3 people (Me and my two kids) Some were around 70" x 90"
I know about the Bilgy tent and that might work as a start, I am thinking I will have to make a mockup or one out of blue tarps to get everything worked out before I start with the actual materials. So I was hoping that any and all of you could link or show me different designs of tents that you think might work. At this point I am just trying to gather designs and ideas before I actually start the work. This is a design given to me by a well known hiker of the AT. It would be simple enough to add a bathtub and netting for those that can sew. 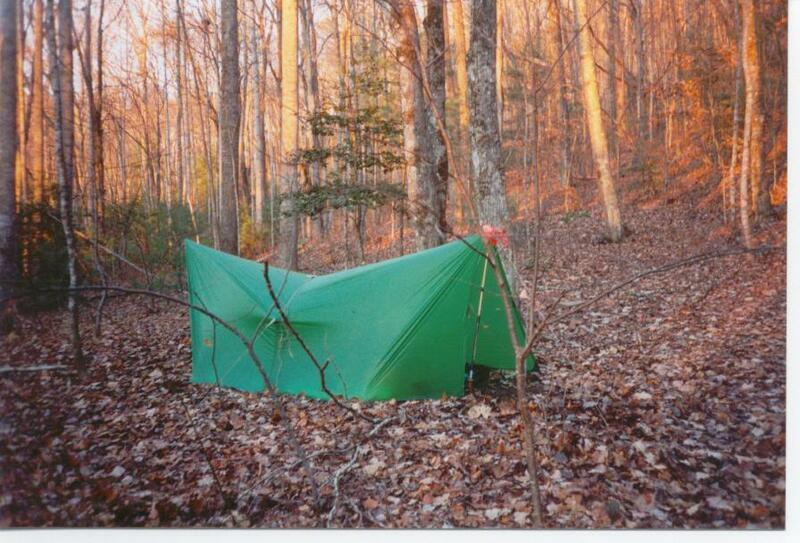 It can be made with this tarp from Campmor although he uses a lighter material. I think I will probably end up with some kind of A frame deign, it just seems a lot easier to make then anything else I have seen. But I am still open to any and all ideas, at this point I am just trying to get some ideas. A large teepee or pyramid design is quite easy to make. Works with a long pole or two normal ones connected. I found the Golite Shangri-La 5 it's bigger then what I want and way over my budget but I like the design. Maybe two opening as opposed to just one. Do you know of any other designs or companies that make the same style of tents? 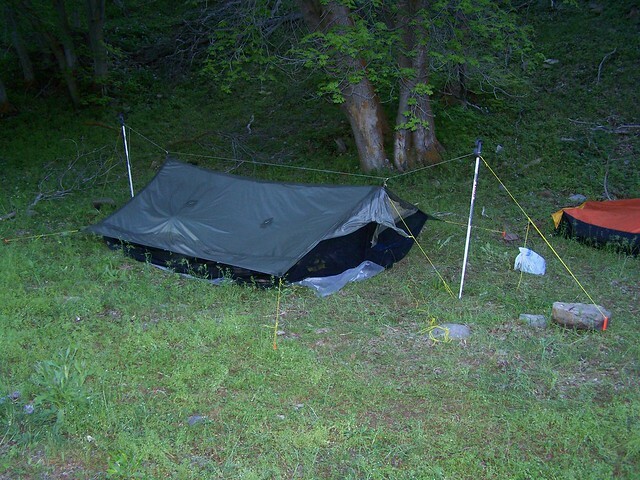 At http://www.equipped.org/tarp-shelters.htm you'll find numerous ideas for folding square and rectangular tarps into some form of shelter. Look it over for ideas to see if adding a floor and webbing to any might be a start. but keeping the overall bilgy design. You'd wind up with a bilgy that has a triangle roof. Good luck. If you like the mid design, take a look at the BD Megamid. You could add the floor/mesh yourself. 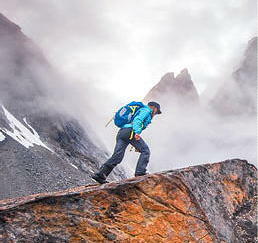 still on the Moontrail site if you want to have a look at it. You could also look at the SD Origami or the MH Kiva, possibly all discontinued also. Tarptent has instructions on their site for you to make your own. You can make it a little bigger to accommodate 3. I recently made a copy with a few mods that fit 3 adults close, and would probably fit one adult with two kids pretty nicely. I recently made the bilgy tent. The "taper" isn't hard at all to cut. You just take a rectangle of the material, measure a particular distance from the right on one end, and from the left on the other end. You then cut a straight line between the two marks. As far as the triple seam, you sew the mesh to the roof, then the overhang to the two. It's not the easiest thing in the world, but it's not all that bad. James - I followed your thread on the Bilgy tent and congratulate you on a beautifully executed job. However, I feel that for me, the level of accuracy in cutting and sewing would be beyond my competence, and I might well end up with something which might (emphasise "might") work, but would look like a bag of laundry. I am also somewhat concerned that the tapers would be bias cut an therefore weaker than the straight cut edge of the top piece. A second consideration was the OP's requirement for room for three. Prototyping the inner will be easier than re-sizing the BILGY, and then a suitably large straight tarp used for the outer - he doesn't have to put on beaks or doors like Jardine, although they would be desirable. The disadvantage would be the additional weight of the top pieces of the inner tent and also of not tapering the tarp roof. You should start modelling from the chosen design with paper, or on your computer, with google sketchup, which is a free and very useful software. Thanks for all the help folks, not sure if this is getting any easier though! Franco; I looked at those designs, I like the height of the center pole designs and the space but I am not sure how it would work with three people. I think the pole needs to be offset some. Also, although the pentagram of hex seem to have bigger floor areas I think I want to stick to a rectangle for ease of location selection and a simpler design. finallyME; nice tent, I bet it dose great in bad weather! How is the condensation with three people? 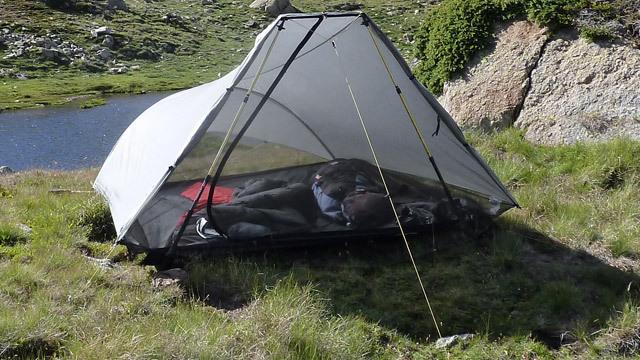 One of the things I really want in this tent is the ability to set up in it, at 6' 6" I need at least 48" just to clear my head, it would be nice to have more then that. PDA; Interesting option, but I would rather have it all as one tent. I mainly camp in the PNW and bugs are always an issue. James; You did a great job on your tent! Did you ever get it so it was not so slippery? Neither of these tents will be that easy to make but I think I can do it if I take my time. Maybe, well see. Anything else, or other ideas on basic shapes and designs? I still have lots of time to get this all figured out! I didn't get to put that other coat of silicone on it before my cousin came up from Florida for out trip. We found a good level spot, and it was perfectly fine on that trip. I have been very busy ever since with work (our cabinet shop is booked up till into January now), so I haven't got around to doing it since. As long as you have a reasonably flat spot, its not really a problem though. Thanks for the compliments on the tent to all that have commented on it. When RHodo suggested using the two poles in the front, I thought of the rainshadow 2, but couldn't remember the name of it. Personally I dont know that I would be comfortable trying to make something with a regular curved tent pole like that though. It seems it would take alot more precision to properly take the tension of the pole. 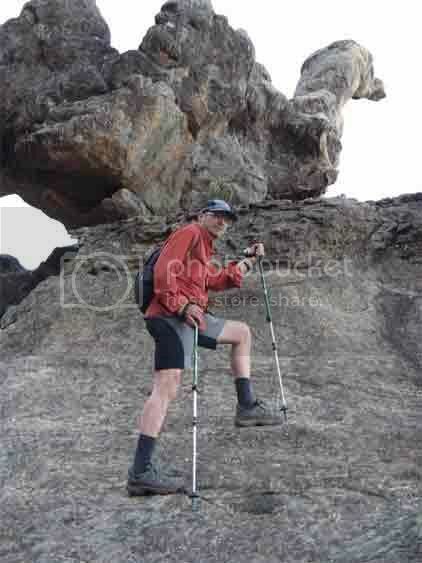 Even if you need to stick with only two trekking poles for the front, I would consider doing short vertical tent poles in the back similar to the designs that only use trekking poles. It seems like all the DIY designs stick with straight poles, and I figured the reason for that is them being more difficult to work with. I've never dealt with using a bent pole like that though, so it may not be as hard to work with as I'm thinking. Someone else here may have some experience with it that could chime in.